**Please read this in full before contacting us. You must have a real need, a specific list of the tasks you would like to train, and a letter from a doctor stating specifically what your dog should be trained to do to assist you. We do not accept letters from psychiatrists as we do not train psychiatric service dogs. Service dogs are defined by the Americans With Disabilities Act as dogs individually trained to work or perform tasks for a person with a disability. 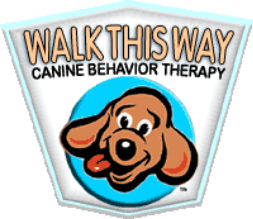 If your needs fall within our range of ability, we are happy to train your dog to perform tasks for you if you need a service dog. However, it is unethical to try and pass a dog off as a service dog so you can take them with you to places they would otherwise not be allowed to go as pet dogs. There is no "certification" or "registration" for service dogs. Any website or organization offering certification is a scam. Service dogs are not to be confused with therapy dogs or emotional support dogs. Therapy Dogs are dogs who go with their owners as volunteers to provide comfort or company to people in settings such as nursing homes, hospitals, etc. Emotional Support Dogs provide comfort and support to owners with anxiety-related issues, but have not been recognized as service dogs by the ADA since the late 2000's because they are not trained to perform specialized tasks to assist their handler. However, the Fair Housing Act as well as the Air Carrier Access Act do still recognize Emotional Support Dogs. We do not train for emotional support. The AKC also has a very thorough explanation of the difference between service, therapy and emotional support dogs. If you feel that your dog would not be suitable for public access but would still like to train him or her to assist you with something at home, we are happy to assist with that. Not all dogs are good candidates for traveling everywhere with you, but they could still be helpful to you at home. Please note that we do not train brachycephalic dogs (French Bulldogs, Pugs, etc.) for assistance other than hearing alert. Sessions for service dog work are *$95 and last for 60 minutes. We do not offer discounts or packages on service dog training. How long you and your dog would need is dependent on your dog's drive, your dedication to working with the dog between sessions, as well as how far you want to take the training. For example, some people simply want to train their dog to alert and make sure they don't false-alert, which takes a shorter amount of time (not to imply that it is easy). Others might want to additionally train the dog to fetch what is needed, go look for help or night alert, all of which takes much longer. We have trained some dogs to do their required tasks in 3-4 sessions while others took as many as 8-10. You will also be expected to work daily at home and we suggest you keep logs of your training. We also offer Skype / FaceTime training sessions for people outside of our regular service area when appropriate for your needs. We provide private lessons in within a 30 minute radius of downtown Saugerties. Travel outside of this area can be arranged depending on our availability and will be subject to a small travel fee. If you have any questions about service areas, please email us with your address. ​*All prices are plus NYS & Ulster County sales tax (8%).